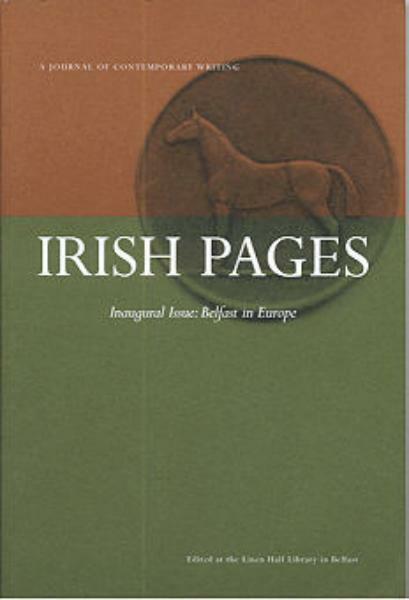 Irirsh Pages is filled with outstanding writing from Ireland and Overseas.Irish Pages focuses on poetry, memoir, reminiscence and literary essays of a non-specialist nature directly relating to the man and his work. Buy a single copy or subscription to Irish Pages magazine. Seeking to be to Ireland what the London Review of Books is to London or the New Yorker is to the East Coast.